DALLAS, Texas — A group of Christians are expressing their concern after being manhandled by police while witnessing in downtown Dallas, Texas. Approximately five Christians ministered outside the A-Kon 23 convention last Saturday in Dallas, which was sold out. As they began to preach on the public sidewalk, a crowd began to gather, which soon became hostile. Some bystanders began yelling and cursing. One of them called the police. Minutes later, three police cars arrived on the scene, and officers immediately demanded identification from the Christians. When the men stated that they did not wish to provide it, officers reportedly became angry and ordered all of them to stand next to the police car. “Your ID does not belong to you. Your ID belongs to the state,” they said. Out of concern, one of the Christians, Melvin Pinales, then began recording the incident with his cell phone. Pinales stated that when he did so, one of the officers grabbed his phone and physically threw him on the hood of the police car. “I have a right to record,” Pinales told police. “The reason I have you on the hood is because you were on my gun side,” the officer replied. Pinales said that another man, named Tommy, was also questioned because he was holding tracts. He stated that officers explained that if they were called back to the scene, the Christians would be arrested for inciting a riot, and that they would “be held accountable” for the adverse reactions of the hearers. Although police returned Pinales’ phone and identification at the end of the incident, he said that he is disturbed by the continued police harassment in the city. “It happens so much,” Pinales added. He explained that he and other believers often face interference by police when witnessing at the train station, which they visit nearly every week. 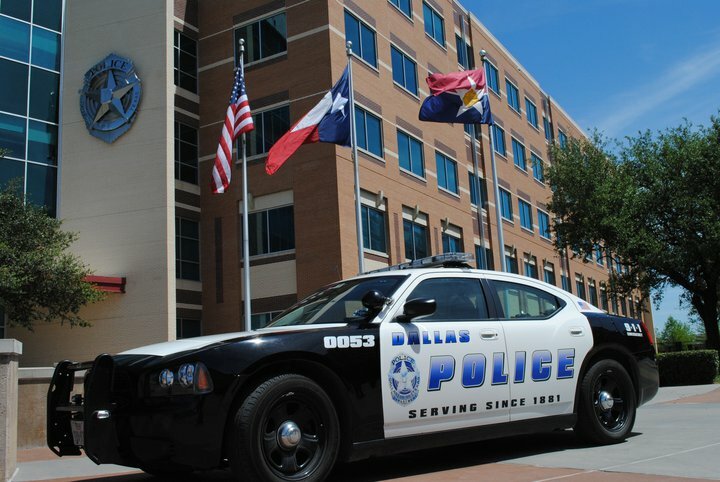 Pinales was also restricted by the Dallas Police Department last year when he and a number of Christians sought to speak with attendees of the city’s annual homosexual festival. He said that police forced them to stand across the street and away from the people out of a fear of how others may respond to the message.